Last night was the monthly get together of the Mitered Square Knitting Group at Mass Ave Knit Shop. This is the third meeting, so you can see how much some of the gals there have done. Most of us are using a variety of sock yarns. The idea of this blanket is supposed to be to use your scraps of yarn left over after knitting a pair of socks. The first two photos are my blanket. OK I haven't knit this many pair of socks. This one is coming along nicely. And so is this one. This one has a lot of bright, cheery colors. This one has two rows of black as the base of each square so that it gives an overall stained glass look. Very nice!! This one is using all Mini Mochi yarns in various colors. The blending of colors in this yarn gives a soft look. Lots of people left before I started taking photos. After this group winds up, we are going to do a knit log cabin blanket. 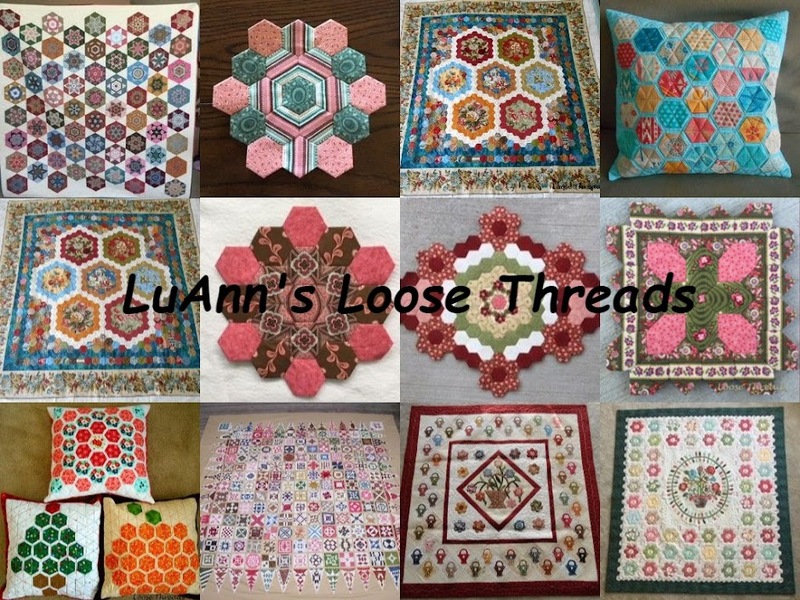 Being a quilter as well as knitting and crocheting, I love these knit projects that look like quilts. I have rewritten the pattern for the mitered square blanket. I will try and put a link to it on my blog. Or if you would like a copy of the pattern, just email me. Hope you are finding some time to stitch some today. Some of my handwork lately has been crocheting these edges around fleece to donate to Project Linus. Yesterday our local coordinator e-mailed that one of our local hospital needs children's blankets, so I'll drop these off this morning. This one will go to Project Linus also. I made this from a bundle of Minkie that I bought a few years back at a quilt show. If you are a quilter you know about those things you see at quilt shows that are screaming "pick me up and buy me". This blanket has been around, too. I pieced the top and donated it and the backing a year ago at the Make A Blanket Day where we all get together and sew Project Linus labels on the backs of donation quilts. One of our other coordinators took this top home to finish. At the next get together she brought it back unfinished. So I brought it back home and kept it another 6 months before I finished it. I hope you take some time to do some stitching today!!! I'm in Huntsville, Alabama, for the Labor Day weekend visiting my daughter. We have been having a good time, visiting, eating good food and doing a bit of sightseeing. My daughter's apartment is on Lady Anne Lake. We walked around the lake yesterday and saw this bird outside of the apartment. We think it's a stork. We visited Providence, a fairly new part of town. We had lunch at the Mellow Mushroom. They specialize in Italian cuisine. We had a couple different types of pizza, and I tried humus for the first time. They served it with warm pita bread, and it was interesting. Today we visited a new mall called Bridge Street. It is built around a man made lake. The landscaping is just gorgeous. These pink, ruffly trees are everywhere. We aren't sure what they are. Take a ride on the carousel....... Or take a goldola ride...... Sunset over the lake. Tomorrow afternoon we head back home.